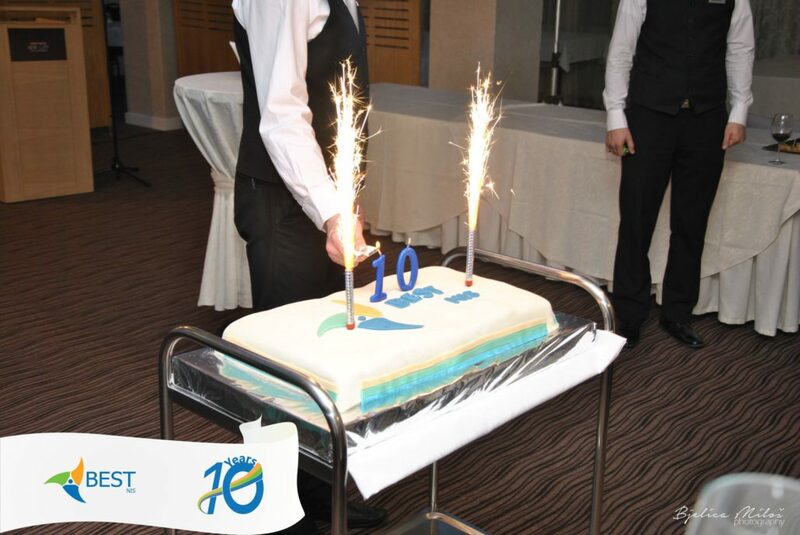 Our student organization celebrated 10 years of existence. From a small group of students who, in 2007, decided to establish this organization, we became a brand. Our events are successful and they continue from year to year as another proof of the quality and potential of our organization. The cocktail which took place on January 20, 2017 at the New City Hotel was attended by representatives of the University, companies and the media, as well as our senior members who are responsible for the existence of our organization. Our organization, engaged in non-formal education, has enabled thousands of students to improve and acquire skills that will be needed in further development of their potentials. As part of a European organization, students have the opportunity to participate in various events and to meet students from other universities, from other cities. For all years of existence, we have had the constant support of universities and technical faculties in Nis, as well as many years of cooperation with many companies and media from Nis, as well as from the region and Serbia. We thank everyone who supports us for years as well as the members who have been there and made BEST the way it is today! We will try to continue improving students and facilitate the way to a brighter future of our community. 10 successful years is behind us. We are launching new hikes with a huge desire for progress and acquiring new skills.